Update: Even though Google Alerts have their own unique RSS feed URL, Google has discontinued them. This is a choice made by Google, and was not announced at all. It is a shame that Google Alerts are not available by RSS as their are so many who would have used one of the many available feed readers to follow them. There was absolutely no reason that Google Reader was a requirement for alerts. Please see our post on replacing Google Alerts with Talkwalker.com for an option to continue alerts with MyCurator. As you may have heard, Google will be discontinuing Google Reader. What about Google Alerts? When you create them for delivery by RSS, they are automatically added to your Google Reader account. 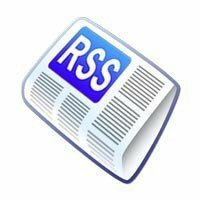 It turns out though that they have a separate RSS URL that we capture for MyCurator. This means that the Google Alert RSS feed is not a part of Google Reader and should be available after Google Reader goes away. We haven’t seen anything that says Google Alerts will be discontinued, but we’ll keep watching.